E&O's property developments are infused with an array of complementary lifestyle offerings that underpin its unique position as a true lifestyle developer of premier properties. At Seri Tanjung Pinang, the lifestyle offerings that have been infused into this 240-acre world-class masterplanned seafront development in Penang brings to life the concept of living by-the-sea®. 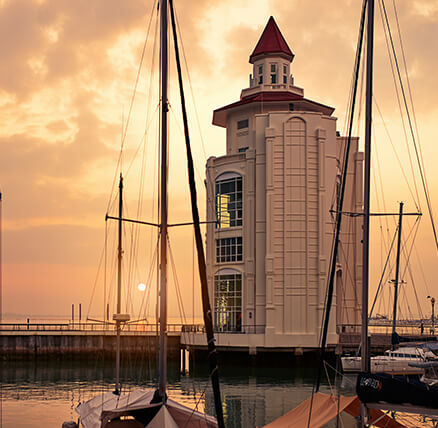 Straits Quay in Seri Tanjung Pinang is the island's first seafronting retail marina with 270,000 sq ft of net lettable area converging around the voluminous Straits Court and the 40-berth Straits Quay Marina for private yachts. In Straits Quay, the 30,000-sq ft Performing Arts Centre of Penang, or penangpac is well-equipped with facilities such as a 300-seater proscenium theatre, 150-seater experimental black box theatre and multi-functional studios befitting its role as E&O's direct contribution to enrich the lives of Penangites by making the arts more accessible. Also within Straits Quay is the 25,300-sq ft Straits Quay Convention Centre that meets Penang's demand for event venues. Equipped with conference and banqueting facilities, this convention centre has been built for local and international exhibitions, fairs, conferences and private events with the capacity to accommodate a maximum of 2,300 guests in theatre-style seating. The first waterfront convention centre in the Northern region of Malaysia, Straits Quay Convention Centre is an ideal venue for big scale events such as exhibitions, trades meetings, conferences, seminars, banquets, exams and private events. 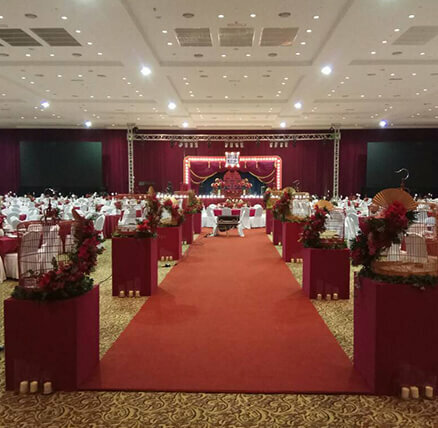 Only 45 minutes’ drive from Penang International Airport, 5 minutes from Gurney Drive and 20 minutes from Batu Ferringhi, the Convention Centre and Event Hall is easily accessible and makes for a refreshing choice for those interested to hold memorable events in Penang. Providing respite to weary sailors, the fully equipped Straits Quay Marina is fully equipped to handle boats 10-25m in length. All 40 berths have potable water and 240V 32/63A electricity supplied via pedestals. A Boater’s Centre is located within the Marina Management Office and has an information office, Wi-Fi access and shower rooms. Prior booking of berths is highly recommended and they will only be allocated subject to availability. The berthing terms have been revised on 1st May 2012. 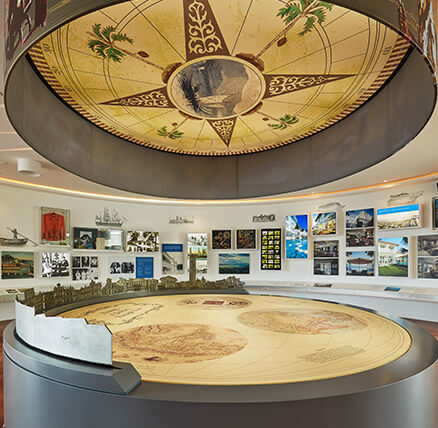 The E&O Visitor Centre charts the evolution of E&O in the context of Penang’s transformation through the centuries. Tour the gallery to discover Penang’s significance as a flourishing port city and how the Armenian founders of the E&O Hotel, the Sarkies Brothers, thrived on an island that embraced trade, culture and opportunity. Glimpse into the vibrant past of the iconic E&O Hotel established in 1885. Appreciate how this cherished heritage landmark in George Town defines the E&O Group’s ethos and leading position today as a premier lifestyle property developer. Weave through the tapestry of different communities that make up the state – each having its own unique identity that is quintessentially Penang. See how E&O engages with neighbouring communities within the landscaped spaces at Seri Tanjung Pinang, the first masterplanned seafront development in Penang. Join us in an exploration of the past, on which the future is built. The E&O Visitor Centre is opened weekdays 10am to 4pm. With the intent of enriching the lives of Penangites by making the arts more accessible, E&O joined hands with The Actors Studio to establish the Performing Arts Centre of Penang, also known as penangpac. 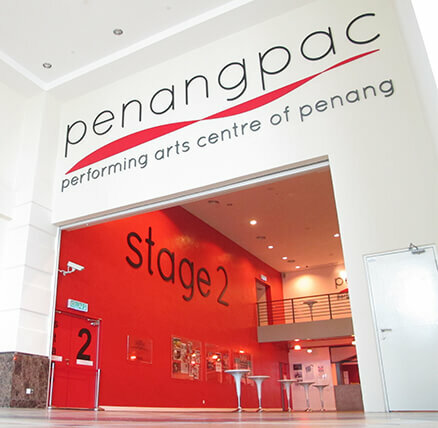 A non-profit organisation to serve the community at large, penangpac is the northern region's first arts centre and only the second one in Malasia after klpac. penangpac offers a host of local and international performances ranging from dance to music to plays, with well-equipped facilities such as a 300-seater proscenium theatre, 150-seater experimental black box theatre and multi-functional studios.